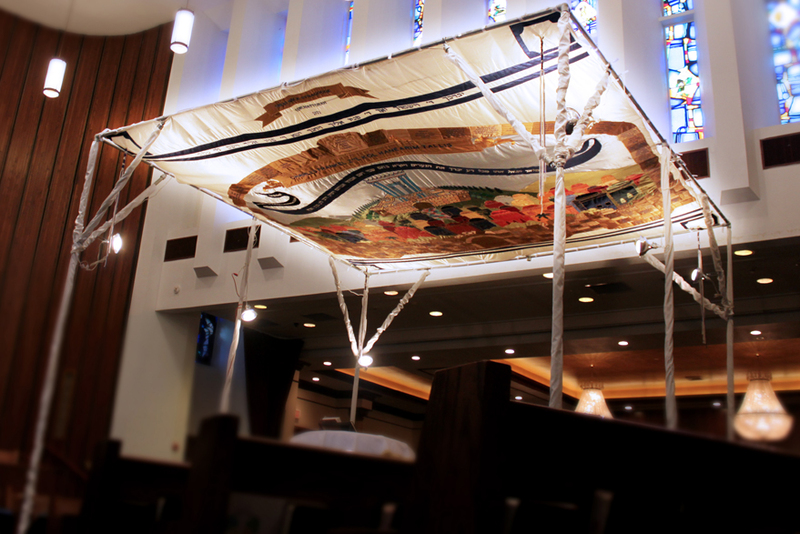 Parochet,Paroches, Ark Curtain, Synagouge Embroidery, our magnificent Ark Curtains are renowned as the gold standard in synagogues worldwide. We can customize your parochet to match your dÃ©cor and precise specifications. Enhance the sacred Torah with an elegant Torah cover. 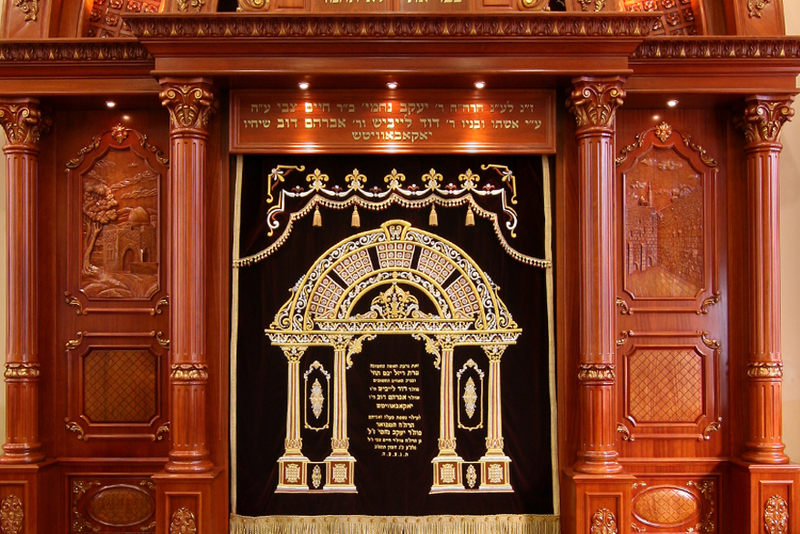 We offer a vast selection of exquisite designs, adorned with crystals, or will customize the Torah mantle to your preferences. Our elaborately embroidered chuppas will make your special day truly memorable. 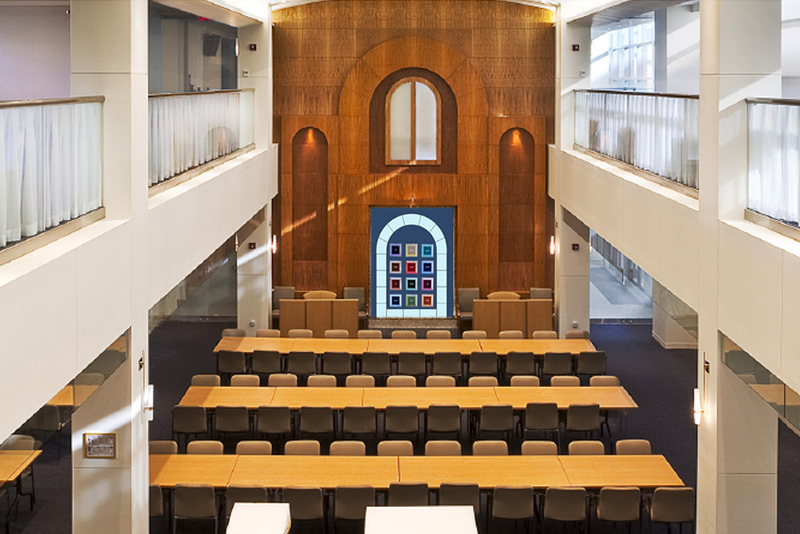 The kriah of the Torah acquires an entirely different feel when the bimah is beautifully rendered. 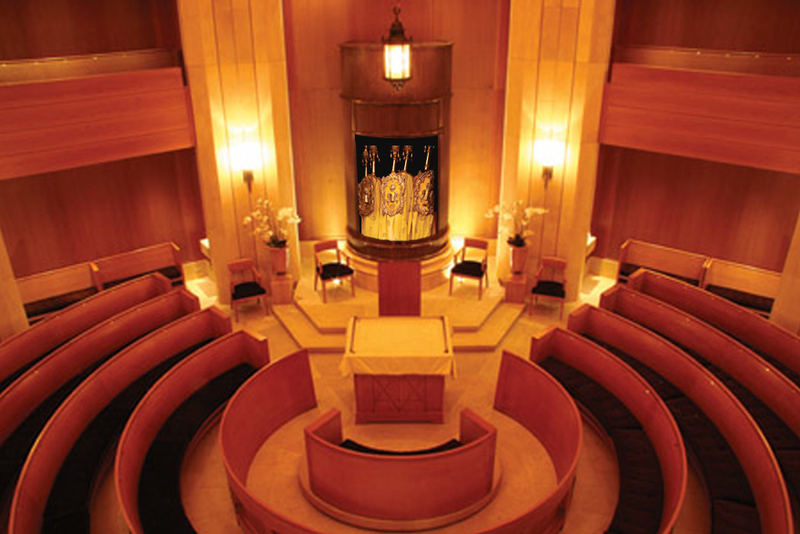 Hand-crafted and customized to your synagogueâ€™s requirements, each of our bimah covers is a work of art. 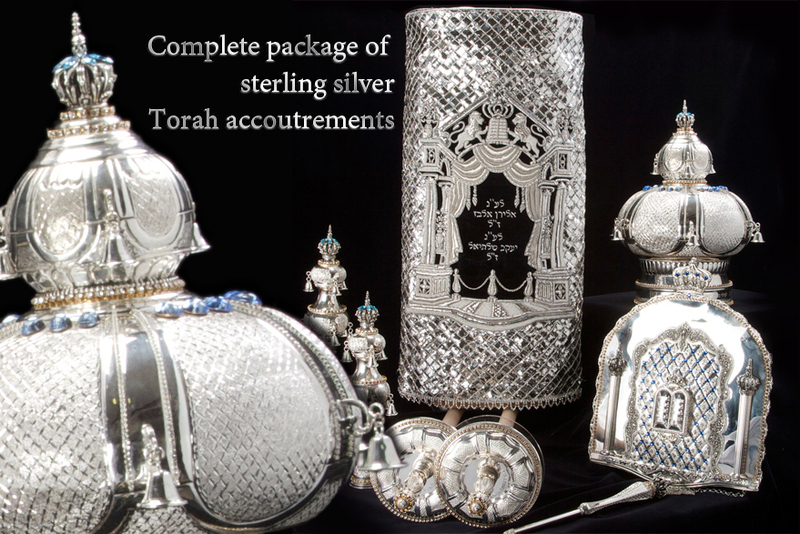 Silver Crowns,Atzei Chaim, Silver Breast Plates,Browse our beautiful collection of Torah Ornaments to adorn your Torah. Bein Gavra mantels are used in between aliyot to cover the Torah. Best has a beautiful selection of various designs. We feature a vast selection of all types of shul essentials like talitot, kippahs, sidurim and more. Our gorgeous Passover sets have won outstanding praise by thousands of Jewish households! Jewish families travel from far to get their hands on one of our world renowned sets!